The 500 racers were a blend of ohc KTT and ohv MSS machines. 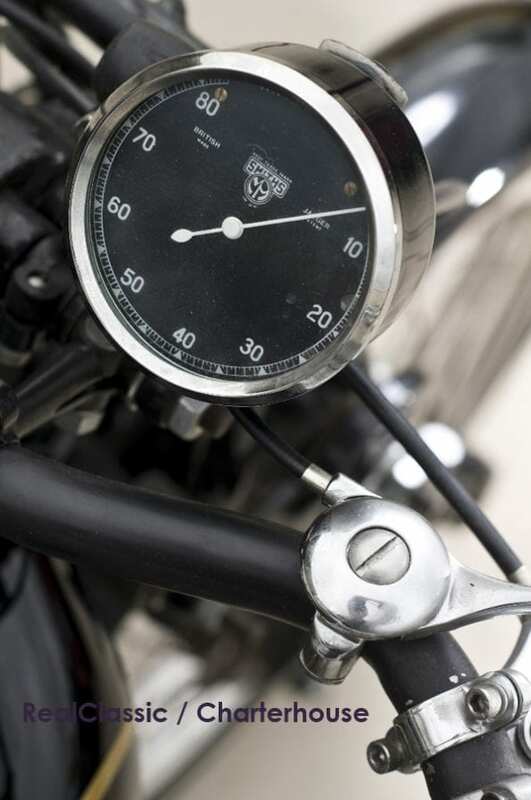 The frame and cycle parts were taken from the KTT with its ground-breaking swinging arm rear suspension. The taller 500 engine was a tight squeeze in a frame intended for a 350; it needed a cutaway in the underside of the fuel tank to give clearance for the cambox. Space for the carb was made by lopping off the rear tank-mounting bracket, which was bolted to the frame instead. Indeed, there was so little room for manoeuvre that it was impossible to fit the engine as a single item into the frame; the top end had to be attached after the motor was manhandled into place. The engine itself shared dimensions of 81mm by 96mm with the ohv MSS roadster, pair with the K-series overhead cam top end. The 500’s conrod was machined from a KE805 forging, and carried its own oil feed to the small end. Additional oil feeds sprouted from the timing cover into a jet which helped lubricate the bore. A slipper-type lightened piston typically ran at 8.5:1 compression, raised to 10:1 when running on dope by removing a shim from the base of the barrel. 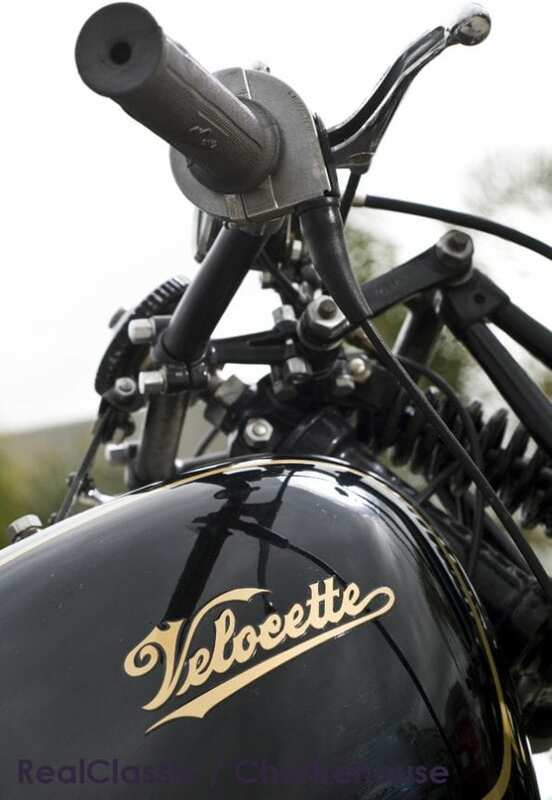 The current owner bought the bike in Australia and brought it back to the UK. It’s road registered and comes with a V5C. 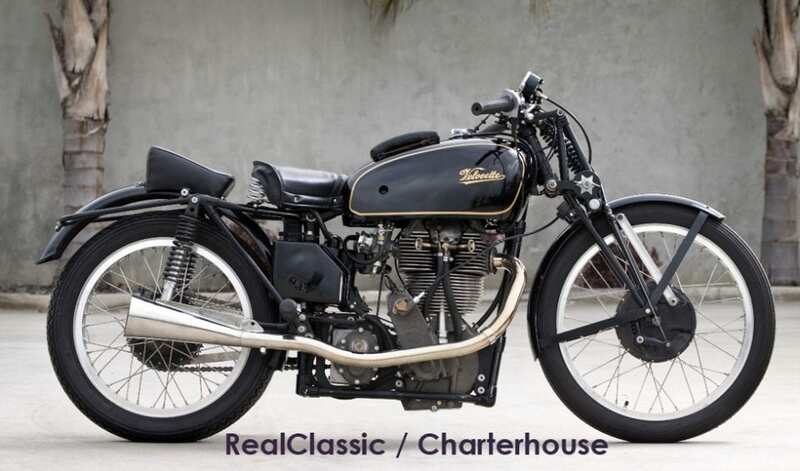 Charterhouse Auctioneers expect it to sell for around £40,000. So here’s where we start sleuthing. 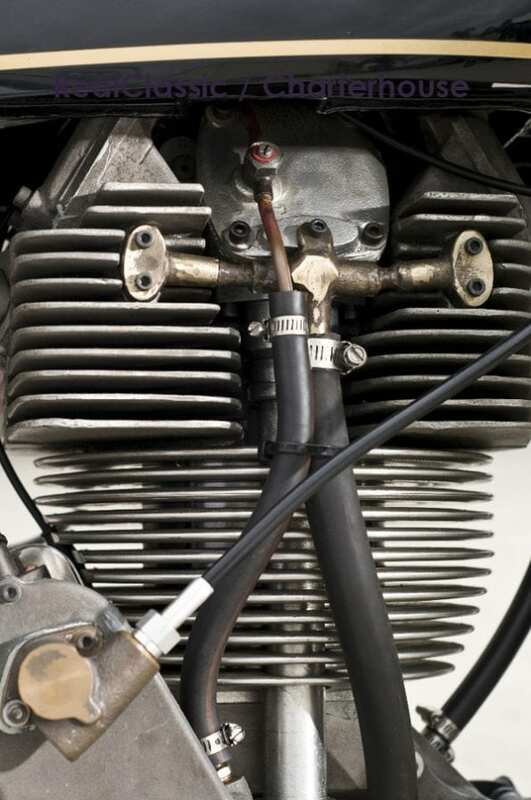 Close examination of the engine image reveals that the bike being auctioned does indeed display the correct number of chunky big fins on its cylinder head – 11, rather than 10 – for the 500. The factory bikes also used the whopping great big alloy torque arm on the front brake, which is bolted (not brazed) to the fork blade. The frame also looks correct: single downtube, full cradle, upright seat support. 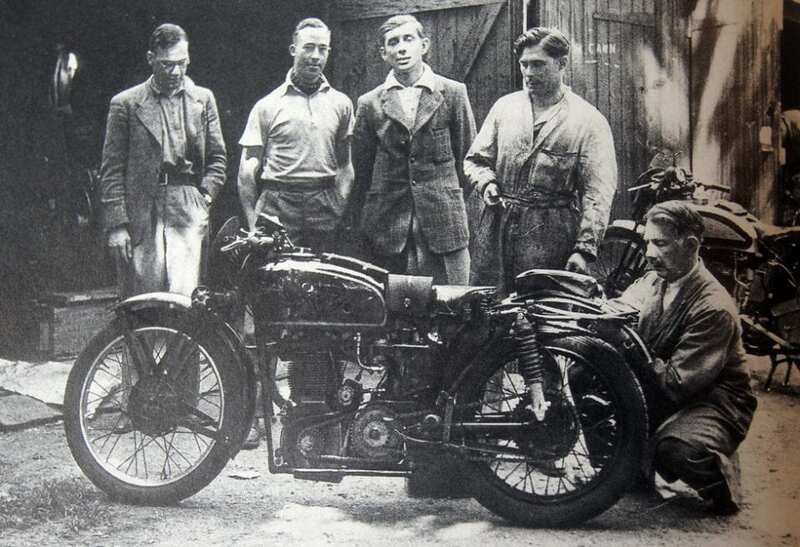 ‘Back in 1939’, says Ivan Rhodes, ‘the Archers had adopted the policy of supplying and preparing race machines for selected customers, and showing them the ropes. 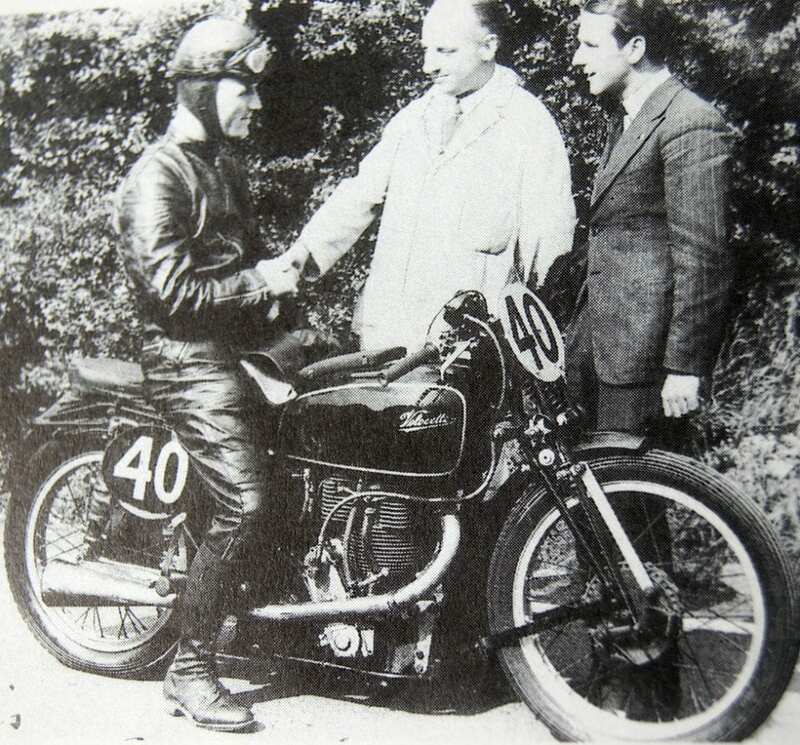 Harry Caldwell and Jim Garnett were two such fortunate riders of Mk VII KTT models. They justified their selection by finishing 30th and 31st. Charterhouse are accepting further entries for their sale on 10th May 2017. Care…this bike is not what it seems. It is a form of replica. 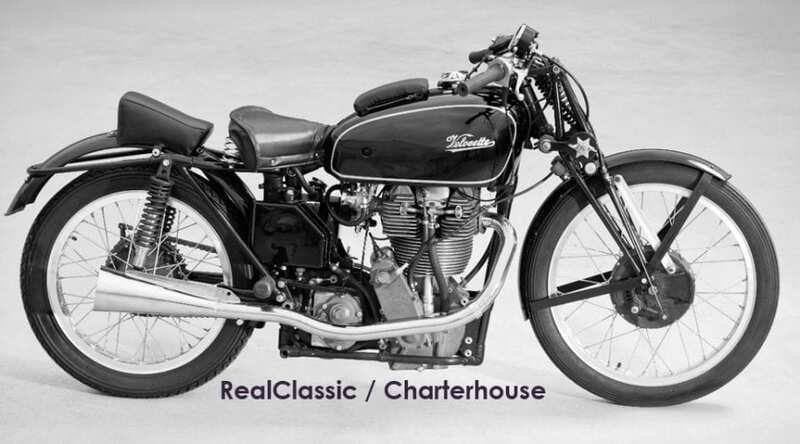 There were only two factory 500 Velocette’s sent to Australia, the first a 1934 model and it is in a museum at Bathurst NSW. The other was brought out by Frank Mussett in 1939 and was an ex Ted Mellors 1937 machine. It was not involved in any fire and I had parts of the engine for years. Its frame was cut up in the early 1950’s. It was “restored” and it is still here to my knowledge. 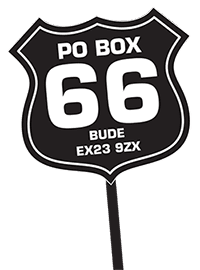 To further confuse the issue, reference to Rod Coleman’s bike is a completely different model factory 500 ..a so called “dog kennel” cambox version.